5. 1. 19 - WRWS/AQHA - Gibt es eine FEI-Kontroverse? Die FEI beendet die Zusammenarbeit mit der AQHA und der NRHA in Bezug auf die Disziplin Reining einseitig – plötzlich, überraschend, per E-Mail-Mitteilung – und ohne vorherige Konsultation oder Ankündigung. The FEI Controversy … or is it? For nearly 20 years, AQHA has had a relationship with the Fédération Equestre Internationale (FEI), which is the international governing body for equestrian sports. FEI was first established in 1921 to unify rules related to Olympic equestrian sports that started in 1900. Today, the FEI is the governing body for Olympic and world equestrian jumping, dressage, eventing, driving, endurance, vaulting, reining and para-equestrian. AQHA's early interest in aligning with FEI was to foster the international growth of one of our most popular disciplines, reining. AQHA helped develop and formalize reining as an equestrian sport in 1949, with its beginning stemming from the stock horse discipline, followed by the evolution of the National Reined Cow Horse and National Reining Horse associations. As you all know, further refinement of the horsemanship art form came along and reining evolved into a more specific and specialized discipline that we know today. But, its roots have always been with AQHA and the stock horse. In 2000, and through a collaborative effort from AQHA and NRHA leadership, a cooperation agreement was formalized with the FEI to establish reining as an internationally recognized sport with the goal to someday introduce the sport into Olympic equestrian competition. To become an Olympic sport, FEI would be required to become an international governing body, overseeing rulemaking authority for welfare, classification and judging of the sport. From those early days, AQHA has had a cooperation agreement with NRHA and the FEI that has governed reining at FEI-approved events. Many or perhaps most FEI reining events have been dual-accredited AQHA or NRHA and FEI events. As a result, reining has been a recognized international sport and part of the World Equestrian Games, which are held every four years. On November 19, 2018, AQHA was notified in an email of the termination of FEI's cooperative agreement with AQHA and NRHA. Shortly after the email was sent, FEI released a statement to the equine industry regarding the termination. This decision was determined in an FEI General Assembly meeting in Bahrain and then immediately released publically with no direct conversation with the parties involved. AQHA was bundled with NRHA in the cooperation agreement, and there was not an opportunity for a unilateral discussion between AQHA and FEI regarding AQHA compliance with FEI rules before the agreement termination was decided by FEI. However, the door may be open if AQHA and FEI foresee a benefit to alignment. AQHA has met or exceeded the requirements for medication testing and the FEI anti-doping policy and has honored reciprocity requirements on all violations of medication penalties that FEI has administered. AQHA invests significantly in the stewardship of our sanctioned events, including all championship shows, and is working to find ways to better oversee the welfare of our horses at more weekend events, encompassing 2,800 AQHA-approved shows. FEI and AQHA see equestrian welfare as equally important and paramount to the future of our industry. Pursuant to the cooperation agreement, all events specifically organized for horses 7 years of age and older are to be held under the jurisdiction of FEI. AQHA does not offer a class that is specifically organized for horses 7 years of age and older. AQHA classifies the senior age division as a horse that is 6 years old or older. FEI, perhaps because of its warmblood breed culture, classifies many of its disciplines for senior horses as those that are 7 years old or older. This stems from a culture of later-maturing breeds and a welfare concern regarding when the bigger warmblood breeds should start competition. 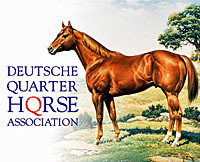 As you are aware, our AQHA breeding stock mature much more quickly and our business models reflect a desire to start American Quarter Horses at an earlier age with the junior division (horses ages 3 to 5) and the senior division (horses 6 or older). NRHA futurities are specifically designed for 3-year-olds. We stressed our disappointment in having no personal contact or prior notice from FEI of its decision to terminate the cooperation agreement and release a public statement. Reining originated in the United States under the umbrella of AQHA. As such, AQHA does not believe that the sport and equine industry benefited from such approach. FEI recognizes that AQHA is compliant and aligned with it on its anti-doping policy. FEI does, however, take issue that NRHA's standards are not aligned in certain respects. We explained that the issue of age divisions between AQHA and FEI is less of a welfare issue and more of a marketplace issue. In fact, Bettina explained that the FEI committee is debating whether or not the age break for the senior horse division should be lowered to 6 years of age. Of course, every time you change a classification, it changes the competition by introducing new horses, which as we all know can be extremely political. This is a political marketplace issue and not a welfare issue. We believe FEI should strongly consider aligning with the original authors of the sport on this issue. Bettina stated that FEI will continue to oversee FEI reining competition. What we anticipate, however, is that FEI is going to require that an exhibitor and horse solely align with FEI rules and the failure to do so will result in the horse and exhibitor being considered ineligible to compete in FEI events. If this is the case, and we hope it's not, then this becomes more about membership control than advancing the industry. In closing, I want you all to know that we all have mixed feelings about this issue. On the one hand, we believe that industry collaboration and giving competitors opportunities across organizations is a big positive for the industry. However, we are disappointed in the way FEI handled the situation, and we are interested in collaboration, not elitism. Because the United States Olympic Committee has stated that it will not be recognizing any additional equestrian competition as Olympic sports and other equine events are being considered for removal, we must evaluate the value that alignment with FEI has other than providing an additional competition venue for international AQHA members. We recognize this value and commit to supporting the opportunity for our international members to have access to high-quality reining competition in which to participate with their American Quarter Horses, whether in jointly sanctioned AQHA-FEI events or not. Relative to animal welfare, AQHA has been a leader in protecting the horse and instrumental in investment in drug testing and enforcement of best-practice compliance, so we agree with FEI on that front. We will continue to communicate with FEI officials in the spirit of assuring there will be additional competition opportunities for our members around the world either through FEI, AQHA or our alliance partner, NRHA. As for the Olympic dream for reining, I'm afraid economics have more to say about the USOC's decisions on equestrian sports or for that matter adding any new sports to the Olympic venue. And as far as FEI's World Equestrian Games are concerned, economic problems may dictate its future, as well. WRWS meint: Offenbar geht es der FEI in punkto Reining um alleinige Mitglieder-Kontrolle und Machtübernahme und eine Trennung von AQHA & NRHA. Offenbar will die FEI erreichen, dass ein FEI-Turnier-Teilnehmer und sein Pferd ausschließlich den FEI-Regeln unterliegen sollen und ein Abweichen von diesen Regularien zum Ausschluß von Teilnehmer und Pferd von der Teilnahme an FEI-Wettbewerben führen würde. Dann ginge es ja wohl mehr um Mitglieder-Kontrolle und weniger um die Förderung der Pferde-Industrie und des Sports. Dieser einseitigen Aktion der FEI ist mit einiger Skepsis zu begegnen. In Bezug auf den Traum von einer Olympia-Disziplin „Reining“ geht es wohl mehr um ökonomische Erwägungen; und diese ökonomischen Erwägungen und Probleme dürften so auch in Zukunft die Haltung zu den Weltreiterspielen bestimmen, Gut, dass sich die AQHA bei aller Enttäuschung über diese Entwicklung für weitere Gespräche zur Fortsetzung der Zusammenarbeit offen zeigt. 3. 1. 19 - WRWS/stern - Tragödie in Bayern: 20 Verletzte bei Unfall mit zwei Pferdekutschen. 1. 1. 19 - WRWS/NCHA - Termine 2019. 1. 1. 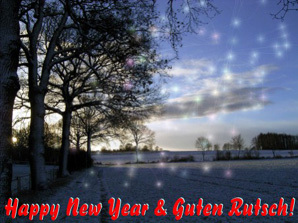 2019 - WRWS - Wir wünschen allen Lesern, Kunden und Freunden einen guten Rutsch und ein erfolgreiches und angenehmes Jahr 2019!